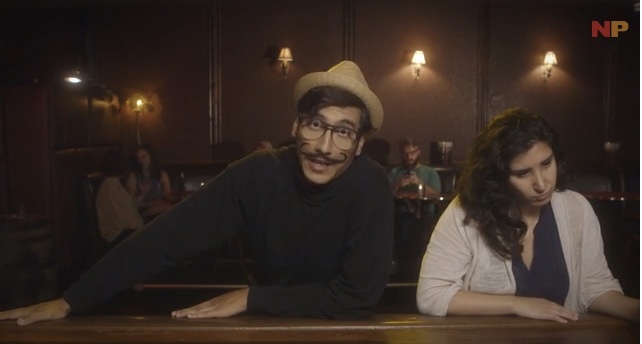 From the comedic talents of Nacho Punch comes this phenomenal video simply titled "Hipsters Love Beer." No, this is not an ode to Hipsters, nor beer, but instead a hilarious commentary poking fun at craft beer culture. The spoof is glass full of hipster-esque stereotypes, from the old-school frames to wide brimmed hats, to mustaches and beanies, and, of course, to preposterous beer orders. Beer served in fedoras, light lagers in bird feeders, woody beer with a real head of sawdust, this has got it all. The best punch line of all time, however, is the Christian Bale ale. Batman says its quite hoppy, but we'd love to give it a taste and judge for ourselves.